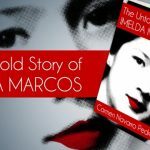 The Untold Story of Imelda Marcos is initially available for $9.99 at Amazon and Flipreads, and will later be available at other leading ebook retailers. 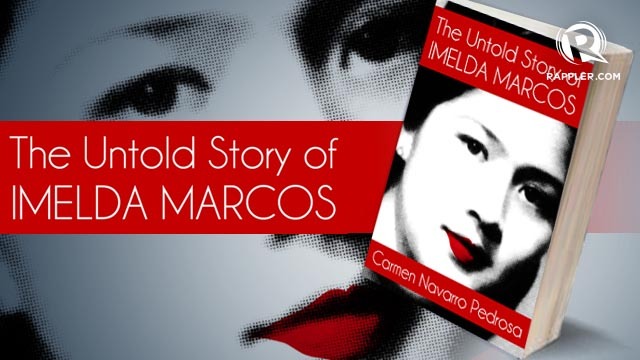 MANILA, Philippines – Journalist Carmen Navarro Pedrosa’s The Untold Story of Imelda Marcos, an unauthorized biography of Imelda Marcos that was originally published in 1969 and subsequently banned during Martial Law, is now available in leading ebook retailers. “The Untold Story of Imelda Marcos became a cause célèbre when Imelda tried to suppress its publication. I needed to make a dramatic message so Filipinos and other peoples remember her story of hubris,” says Carmen Navarro Pedrosa. The Untold Story of Imelda Marcos is one of the books often cited as a resource regarding Imelda Marcos’s history, which was the case in Imelda: A New Musical by the East West Players. The book sold more than 300,000 copies and was translated into French, Japanese and Portugese before going out of print. Carmen Navarro Pedrosa is a columnist for the Philippine Star and the author of The Untold Story of Imelda Marcos and The Rise and Fall of Imelda Marcos. Following the publication of the former book, she and her family were exiled to London for 20 years. The Untold Story of Imelda Marcos is initially available for $9.99 at Amazon and Flipreads, and will later be available at other leading ebook retailers. A print version will also be launched on June 20, 2013 at the Philippine Opera Haus. Flipside Publishing is the leading publisher of ebooks in the Philippines and the Asia-Pacific region, with nearly 200 ebooks available in major retailers like Amazon, Barnes & Noble, iTunes, and Kobo.